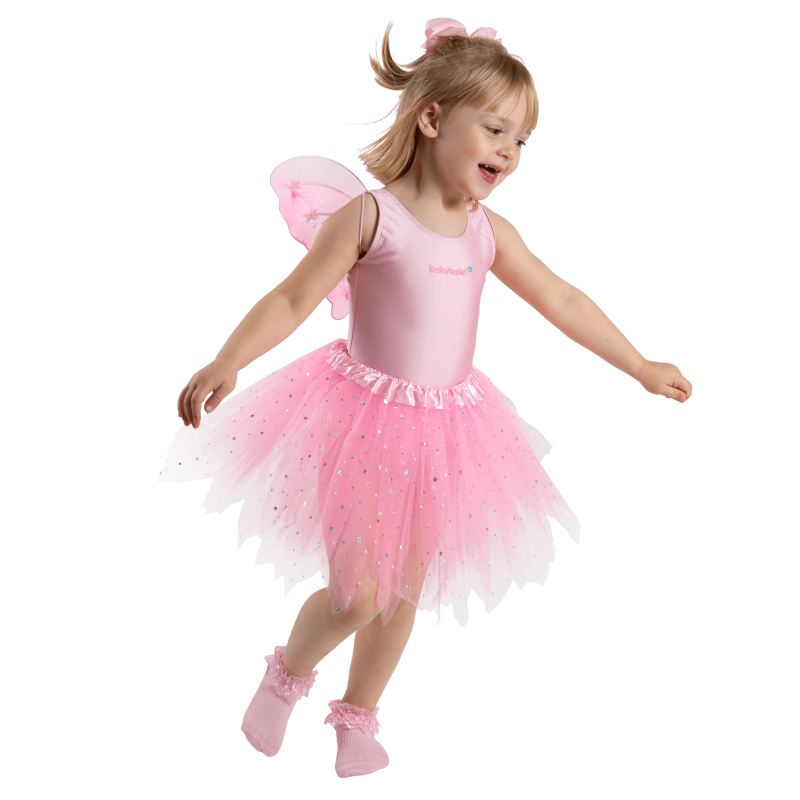 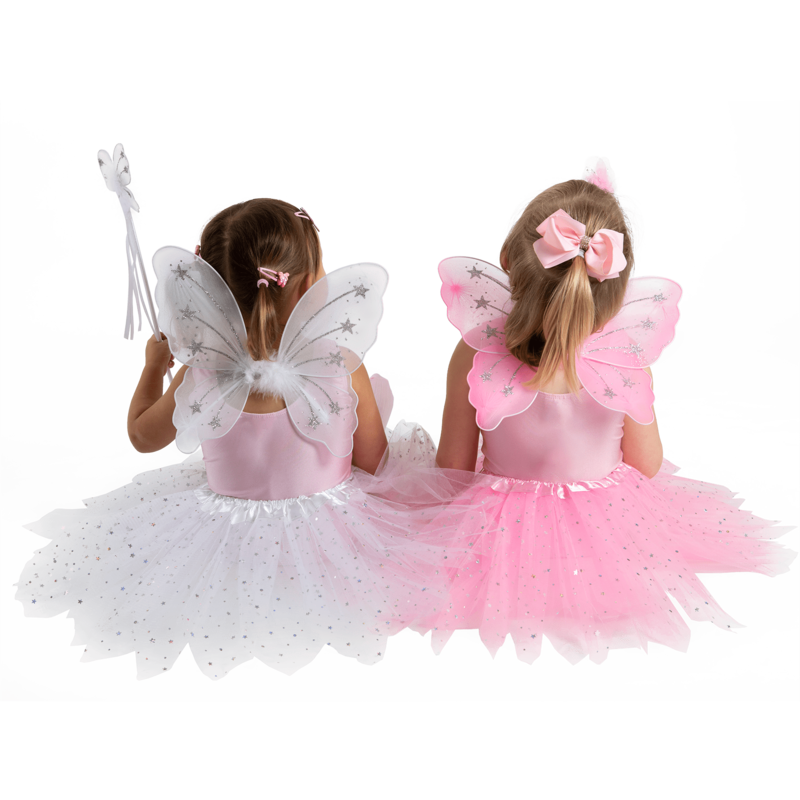 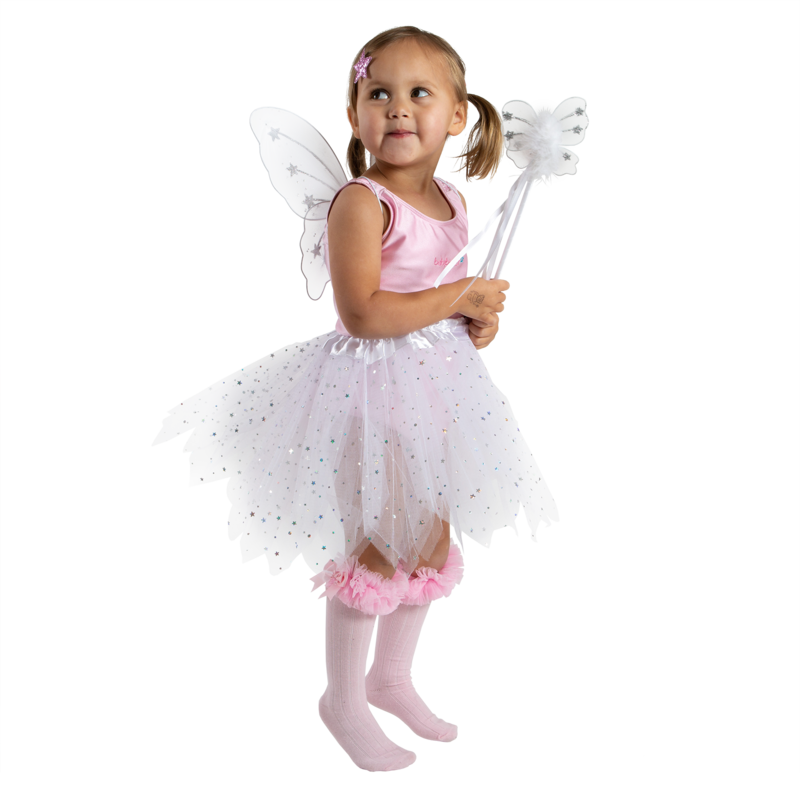 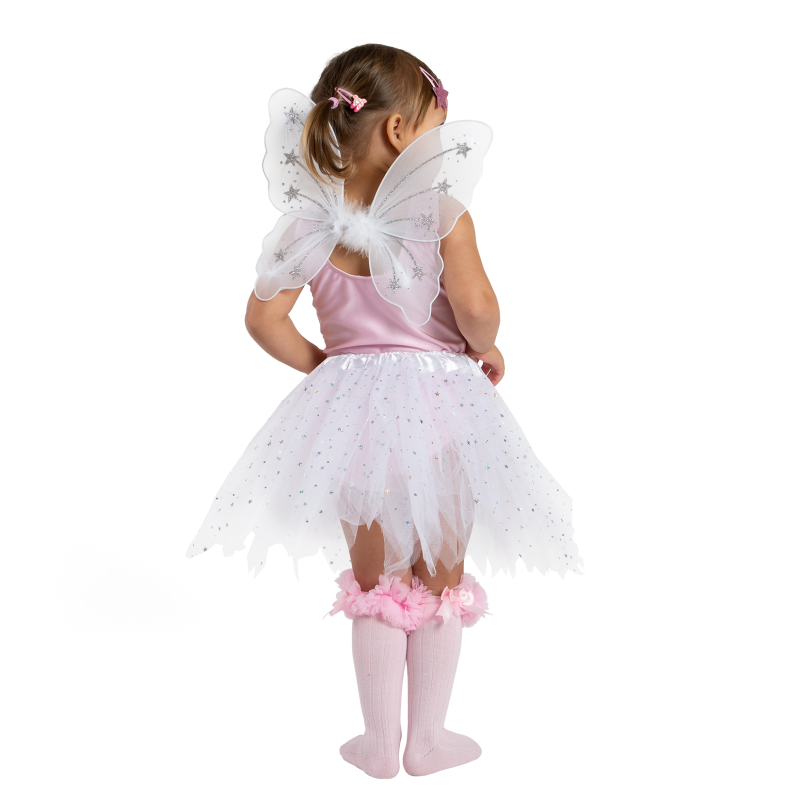 Perfect for all little babyballet stars who love pretending to be and dance like fairys! 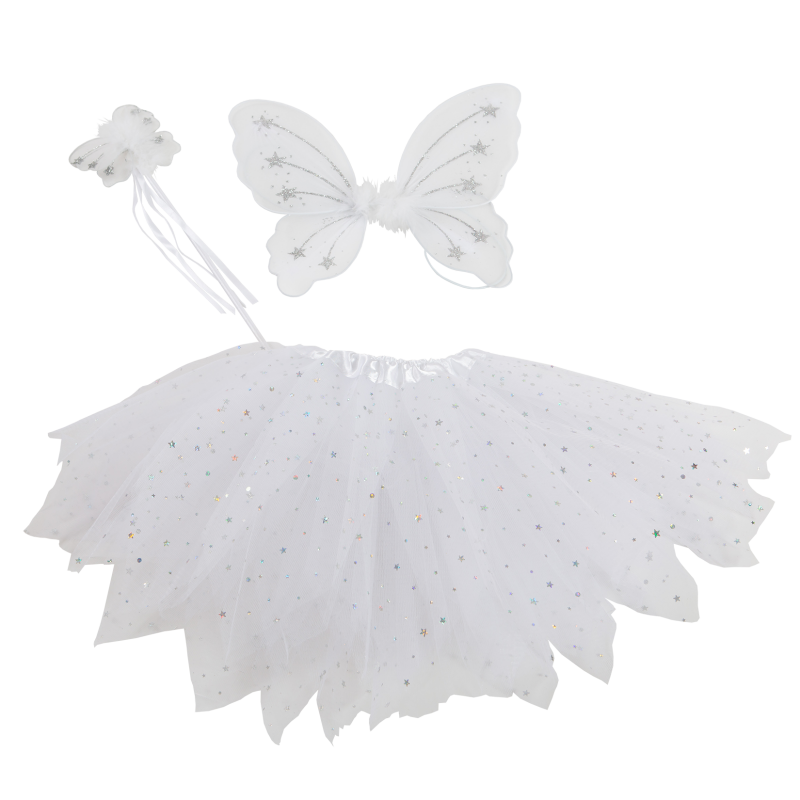 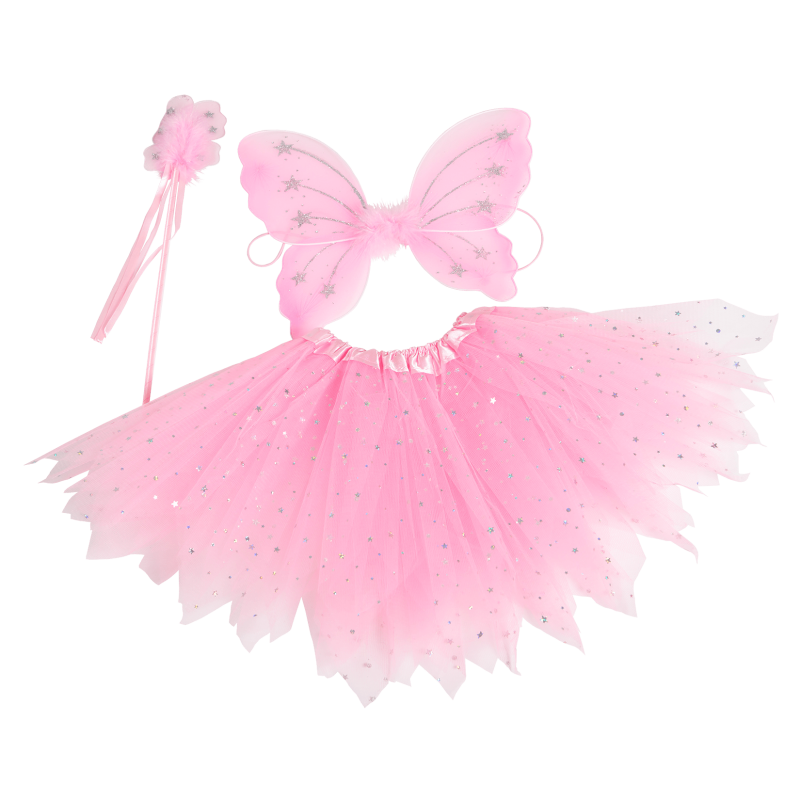 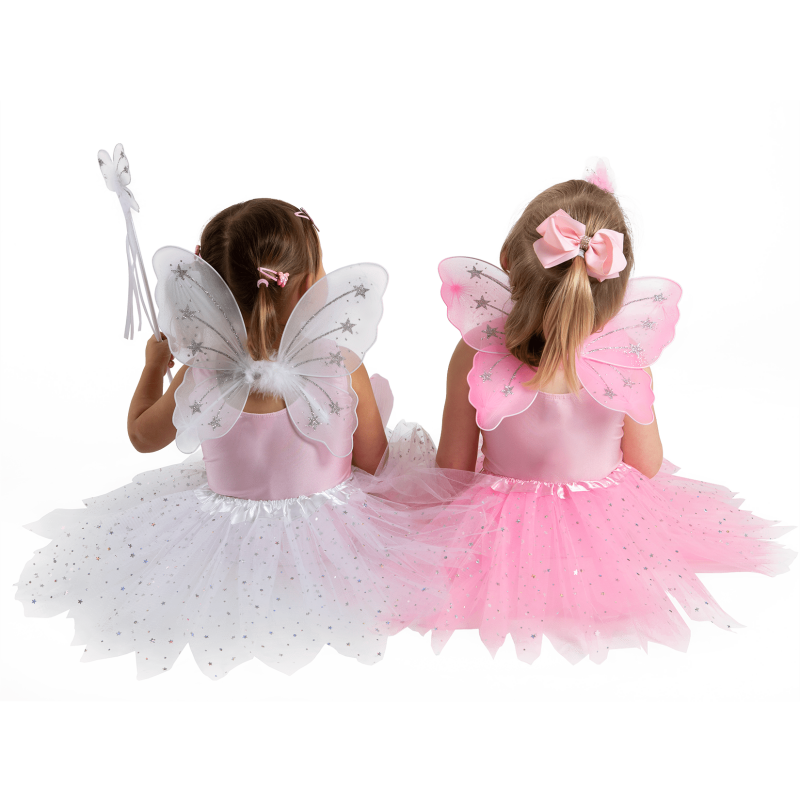 Available in pink or white this set comes complete with a beautiful hologram star sprinkled skirt, wand and mini wings, both with the addition feather and sparkle detail. This gorgeous dressing up outfit is suitable from age 3 upwards.